KW Commercial and Sands Investment Group are Pleased to Offer this Family Dollar Net Lease Investment Opportunity Located in Hesperia, California. CHESAPEAKE, VA. July 6, 2015, Dollar Tree, Inc. (NASDAQ: DLTR), North America's leading operator of discount variety stores selling everything for $1 or less, announced that it has completed the acquisition of Family Dollar Stores, Inc., a leading national discount retailer offering name brands and quality, private brand merchandise. Dollar Tree, a Fortune 200 Company, now operates more than 15,073 stores across 48 states and five Canadian provinces. Stores operate under the brands of Dollar Tree, Family Dollar and Dollar Tree Canada. Family Dollar offers a compelling mix of merchandise for the whole family. 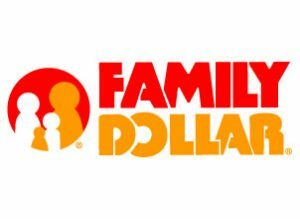 Ranging from an expanded assortment of refrigerated and frozen foods and health and beauty items to home décor and seasonal items, Family Dollar offers the lowest possible price, the name brand and quality private-brand merchandise customers need and use every day. The average size of a Family Dollar store is approximately 7,000 square feet, and most stores are operated in leased facilities. This relatively small footprint allows the Company to open new stores in rural areas and small town, as well as in large urban neighborhoods. Within these markets, the stores are located in shopping centers or as free-standing building and all are convenient to the Company’s customer base.